This is 1 deck of already marked cards with luminous ink. 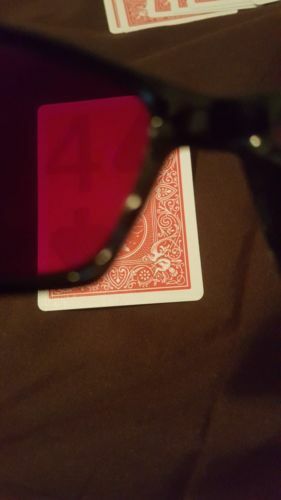 This deck of cards has the number/letter of each card for example: A for Ace. It is perfectly applied so that it is invisible to the naked eye, yet using the luminous ink infrared reader you will see the markings! There are 3 brands to choose from. Note that if we do not have it in stock, we ask that you patiently wait for up to 2 weeks. ARE YOU LOOKING FOR THE CONTACT LENS AND CARDS? CLICK HERE!!! 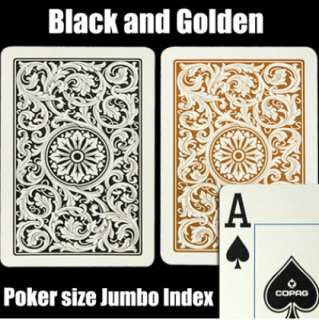 If you want a custom deck of cards that you do not see on our website you still can! Click the button below! Buy an extra deck of Bee brand cards (red or blue) random. Free shipping. MUST HAVE PURCHASED THE CONTACT LENSES PACKAGE IN ORDER TO BUY THE EXTRA DECK. If you purchased the contact lenses now or in the past and you need an extra marked Bicycle deck then heres where you order. Free shipping. This marked deck of cards can only be purchased if you purchased the contact lenses. This is an extra deck of marked cards made custom for the contact lenses or infrared glasses. This deck of cards is an upgrade compared to the Bee brand deck of cards received with the contact lenses. 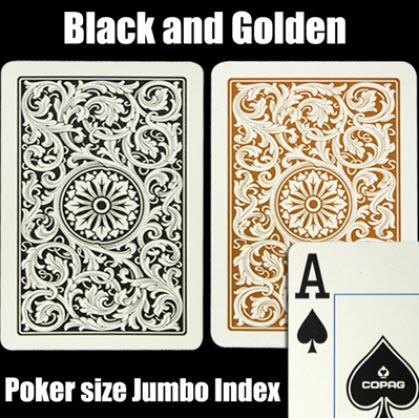 This deck of cards is the durable Copag plastic cards. Free shipping on orders! 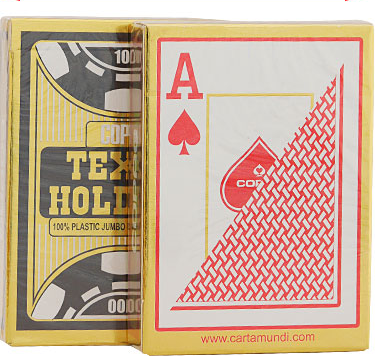 I get many requests for Copag plastic decks of cards. I have incorporated the cards into my products now! Choose the double deck set you wish by using the drop down menu. Please note that these cards take longer to mark and the supplies are expensive, so give 2-3 weeks on total delivery time. For a short time take advantage of this deal! 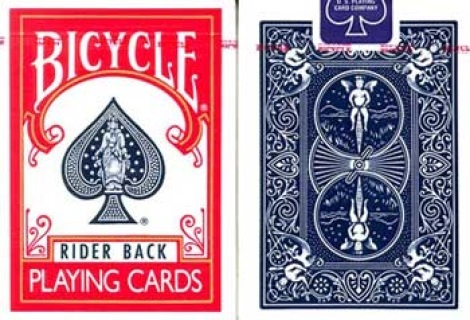 Buy 3 decks of Bicycle cards for only $100! 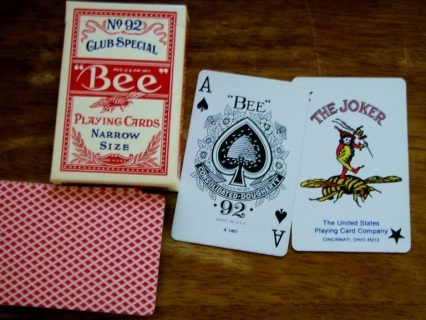 Receive 3 Decks of Bee marked cards! These cards are professionally marked with a luminous ink printer. Free shipping! Get a free pair of infrared Sunglasses with a new subscription! To see the subscription page click here!